What is the Purpose of a Slimline Smoking Bin? 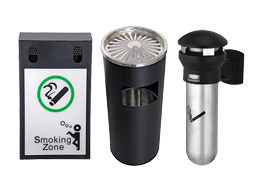 The wall mounted smoking bin provides smokers with a great alternative to tossing their expired smoking waste on the ground. The cigarette bin features a inner canister that holds the discarded cigarette butts. It’s designed to be attached to exterior walls around which smokers tend to congregate. The cigarette bin is weather resistant. 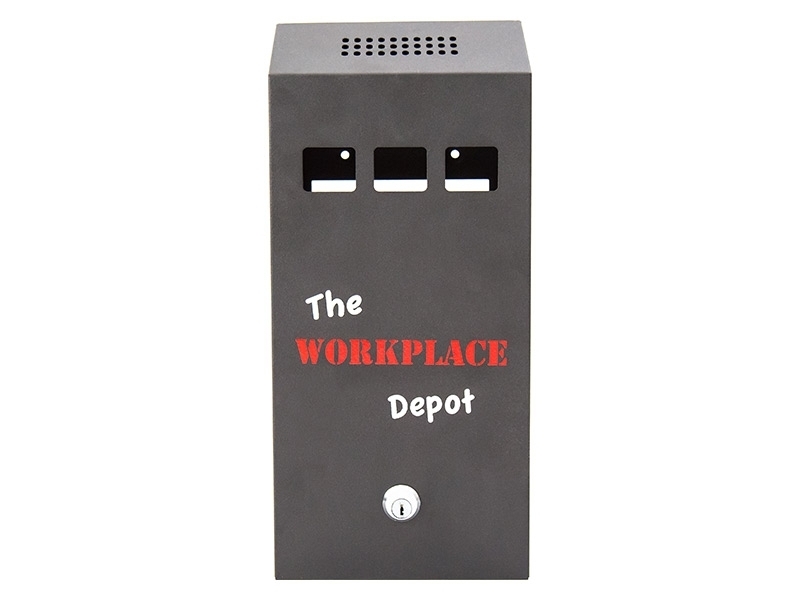 Where Can a Wall Mount Slimline Smoking Bin Be Used? 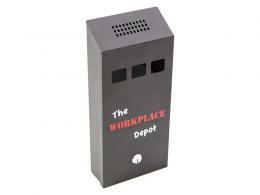 This smoking bin can be installed on the walls at designated smoking points around a property. Given its minimal weight, the ashtray bin can be mounted on most any vertical surface. It offers additional advantages over more traditional smoking bins because it’s mounted against the wall, thus it isn’t taking up any ground space. Who Might Use this Cigarette bin? Business owners or property managers that have to account for smoking taking place outside their facilities will benefit greatly from this bin. Not only will the wall mounted smoking bin greatly reduce the amount of smoking waste that litters the property, but facility management crews tasked with cleaning the property won’t have any problem emptying and cleaning these bin. 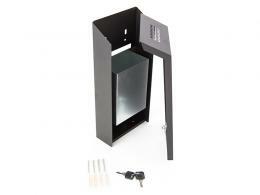 The bin measures 325 (H) X 150 (W) x 60 (D) mm and is wall mounted for outdoor use. Snuff plates ensures that no butts or ash accidentally fall outside the smoking bin. 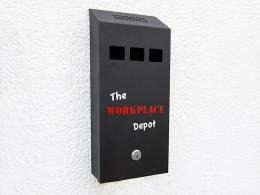 The Workplace Depot offers a standard one-year warranty on all parts and labour. Our wall mount smoking bins fully comply with all local council and government regulative manufacturing requirements to ensure the safety of your customers and staff.